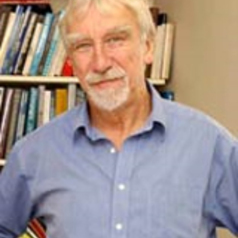 Professor David Throsby AO is a Distinguished Professor in the Department of Economics at Macquarie University. He is internationally known for his work in the economics of the arts and culture. Professor Throsby's research interests include the role of culture in economic development, the economic situation of individual artists, the economics of the performing arts, the creative industries, the economics of heritage and the relationship between cultural and economic policy. He has published several books and a large number of reports and journal articles in these areas, as well as in the economics of education and the economics of the environment.